It starts in May with a few cracks. By mid-June, bathed in 24-hour daylight, Lancaster Sound in the Canadian High Arctic is in constant motion as the sea ice melts and breaks apart. Cutting across this dynamic seascape is what the Inuit call sinaaq — the floe edge, where solid land-fast ice meets the open water of the Arctic Ocean. Starting in spring 2019, Arctic Kingdom will offer travellers the opportunity to experience the beauty and biodiversity of the floe edge firsthand. 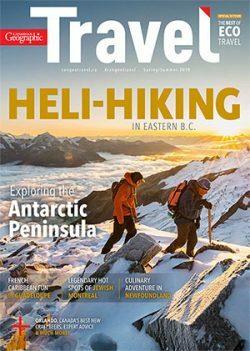 Canadian Geographic Travel talked to Graham Dickson, founder and president of Arctic Kingdom, about why a safari to the floe edge is a must for any adventurous traveller. 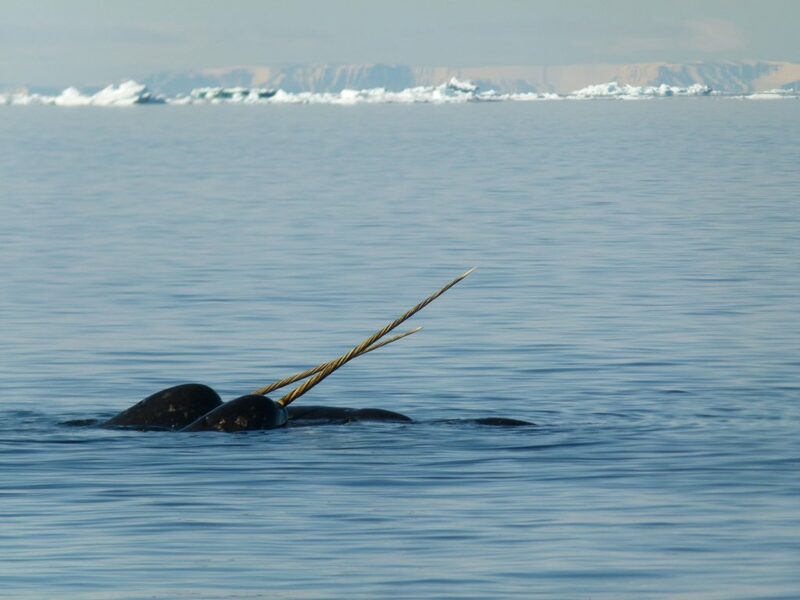 What makes the floe edge such a magnet for marine mammals like whales and narwhal? Typically, it’s the last thing standing between them and their preferred summer habitat in the shallow inlets and fiords of Lancaster Sound, where they go to molt and breed. “It acts as a natural funnel, and something of a parking lot,” explains Dickson. “There are summer spots with open water that the whales want to go to and they can’t continue on that journey until the ice recedes, so they hang around waiting for it to let them in.” By setting up camp in Navy Board Inlet, a short ride by snowmobile and qamutik (wooden sled) from the floe edge, Arctic Kingdom can reliably promise wildlife sightings throughout the season, from first cracks to rapid breakup. A big part of what makes a visit to the High Arctic feel so magical is the 24-hour daylight. Not only does it make for a longer day for wildlife viewing and other activities, the warmth and clarity of the light means photographers of all abilities can capture stunning images. 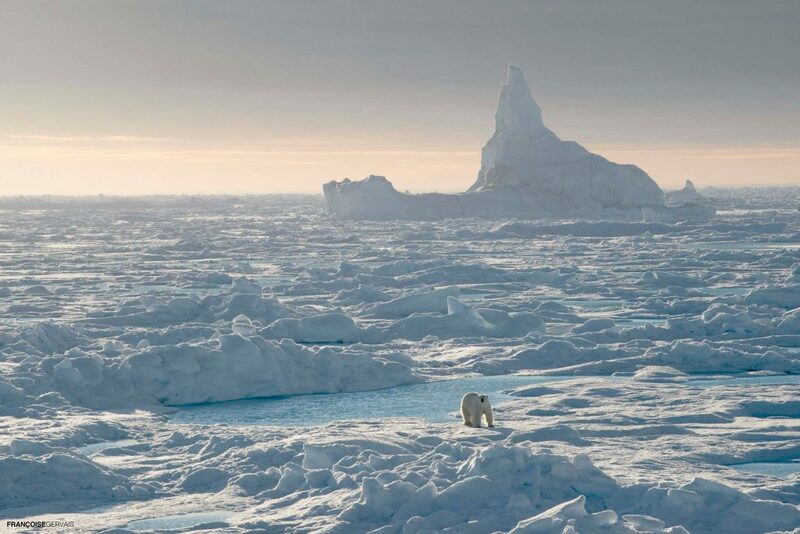 Dickson calls it “a time of positive energy” as the sun reshapes the ice and the animals return daily to the floe edge to investigate the changes in their environment. Just don’t forget to pack a sleep mask! “It’s a life experience” to witness part of the life cycle of Arctic ice, Dickson says, not just at the floe edge but beyond. As part of its floe edge experiences, Arctic Kingdom offers scenic flights over the glaciers and valleys of Sirmilik National Park. 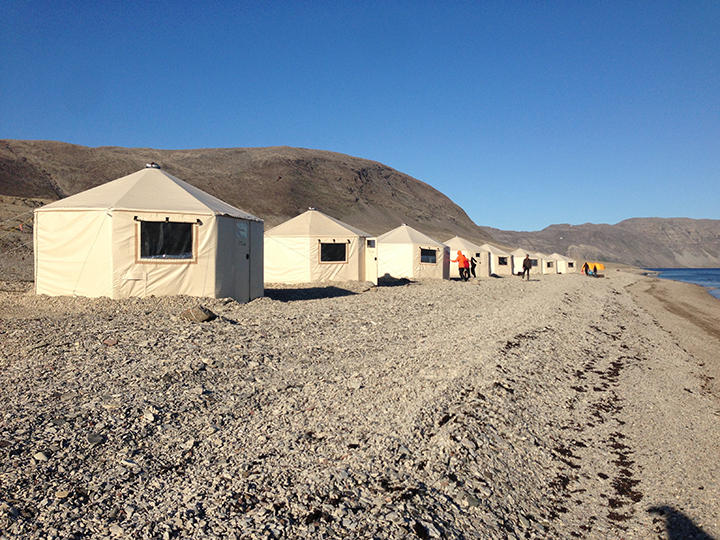 Visitors also have multiple opportunities to learn from Inuit guides and Elders from the nearby communities of Pond Inlet and Arctic Bay, making a trip to the floe edge one of the best ways to observe and understand the human and physical geography of the Canadian High Arctic. “It’s a very special place, and its immensity is what’s made life possible in the north for so many centuries,” says Dickson. 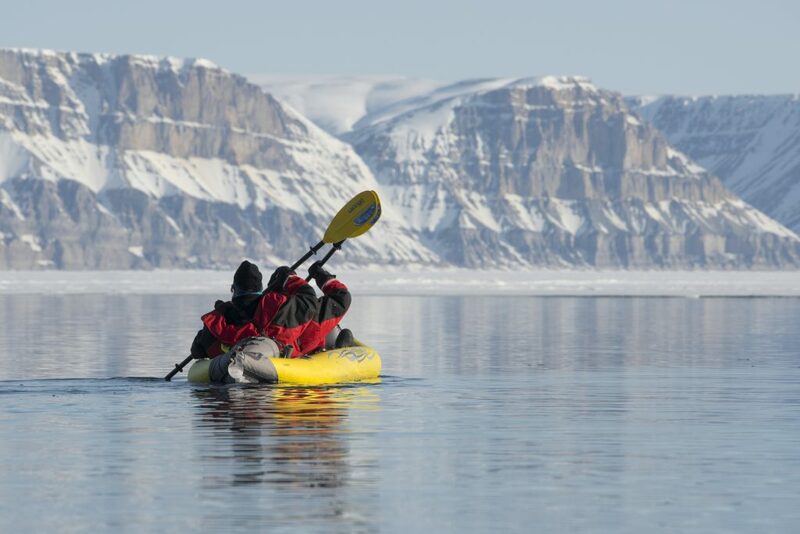 Observing wildlife and taking in the dramatic mountainous landscape of Sirmilik National Park from the floe edge is a spectacular experience in and of itself, but for travellers who crave a little more adventure, Arctic Kingdom offers guests the option to get on or even in the water. 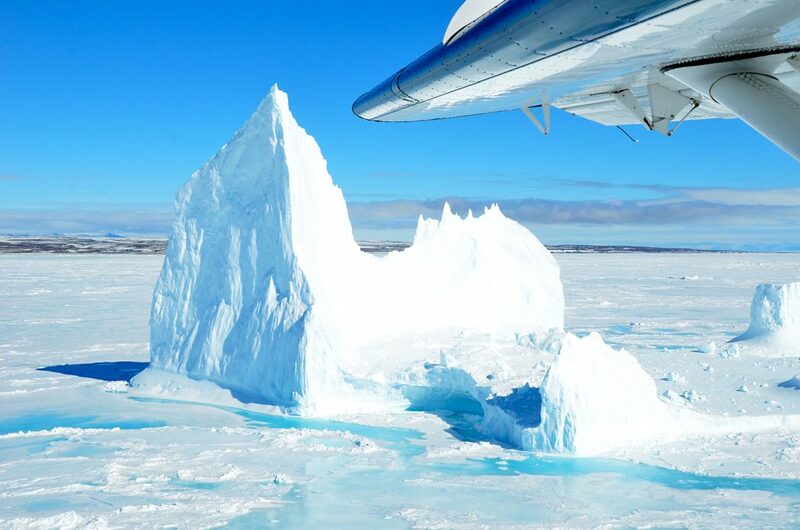 Protected by a thick neoprene suit with dry clothing underneath, you can snorkel along the floe edge, gazing at the vast cathedral-like undersides of icebergs glowing in the sun. If swimming in the Arctic Ocean sounds a bit too intense for your taste, you can also paddle along the floe edge by kayak. “It’s another way look back at the edge, and sometimes just the movement of paddles in the water can bring curious seals or whales and on the rare occasion even a walrus to check out what’s going on,” says Dickson. Learn more about Arctic Kingdom’s 2019 Arctic safaris and watch for Susan Nerberg’s forthcoming feature on life at the floe edge at cangeo.ca.